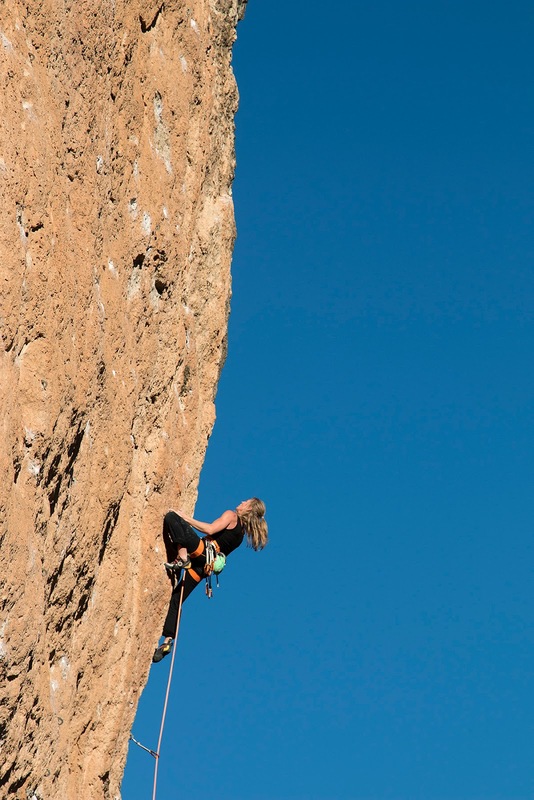 Classic arête climbing on Cabe Esperar (8a) at Sombretivo. 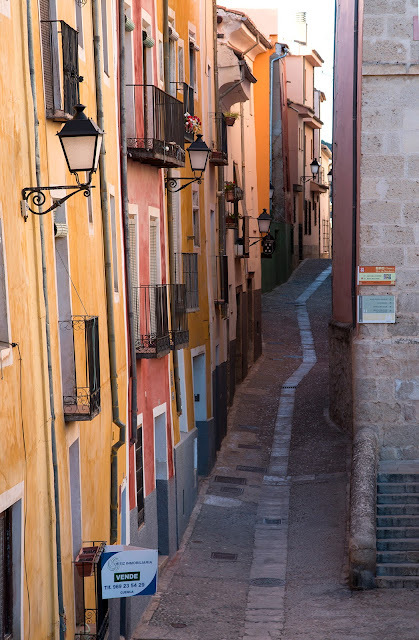 Cuenca is a small city in central Spain, just two hours east of Madrid. 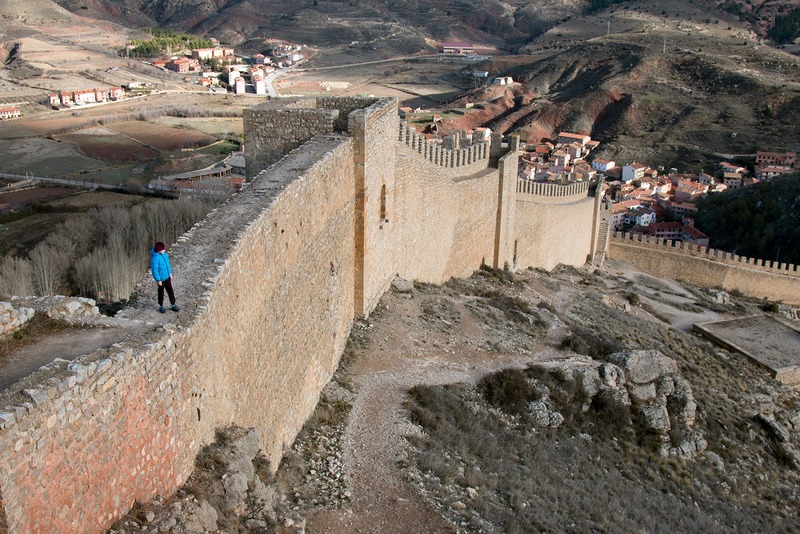 The old town is perched on a cliff-lined plateau and is famous for Les Casas Colgadas, hanging houses built into the sheer rock walls that snake around the outer perimeter. Due to its abundance of historical attractions, Cuenca has been declared a UNSECO World Heritage Site and draws countless tourists every year, but the river gorges that surround the city are a major site for rock climbing, one of the most important in this part of Spain. 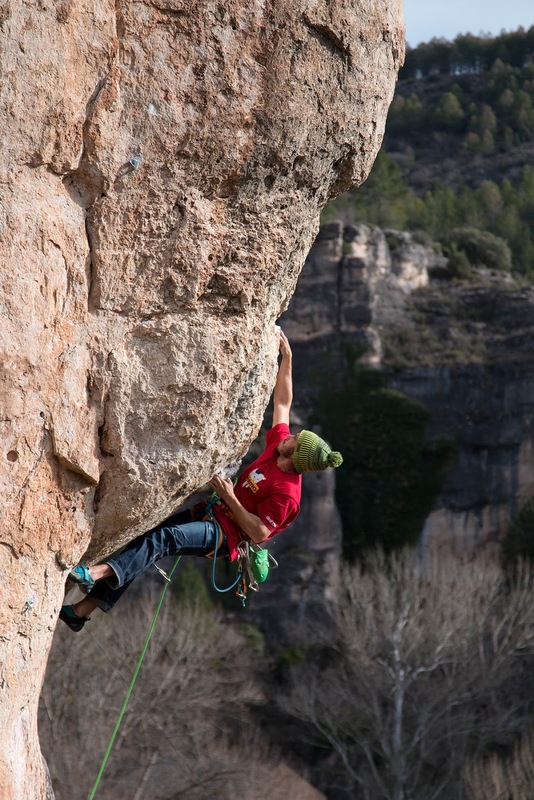 But despite its quality climbing, visits from international climbers remain relatively rare, likely because Cuenca retains an old-school flavour, one where technique often trumps brute strength and tufas are practically non-existent. 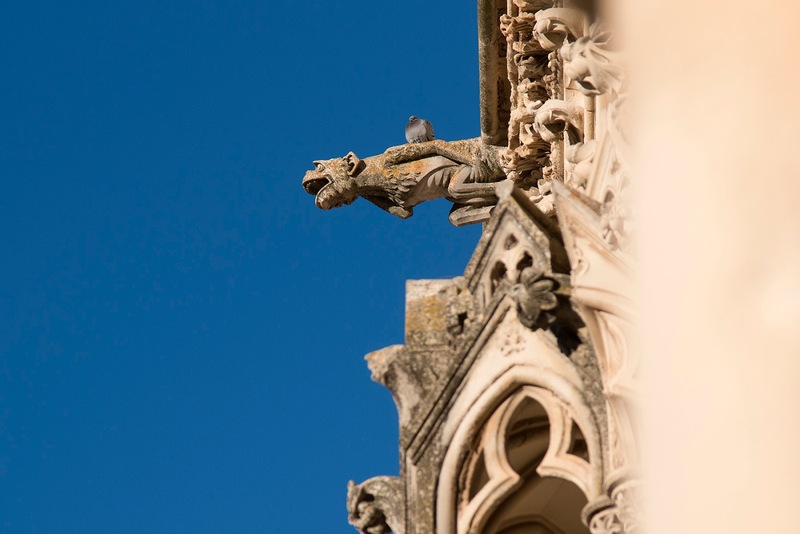 Regardless, the plentiful sunny aspects piqued our curiosity and we decided to dive in and book a mid-winter trip. 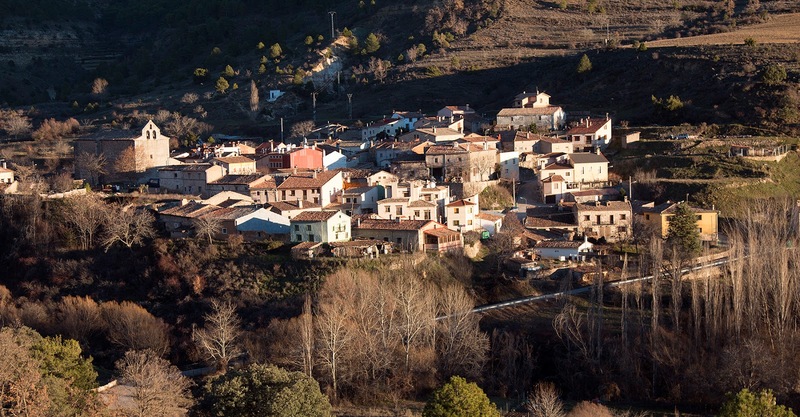 The quaint village of Valdecabras. 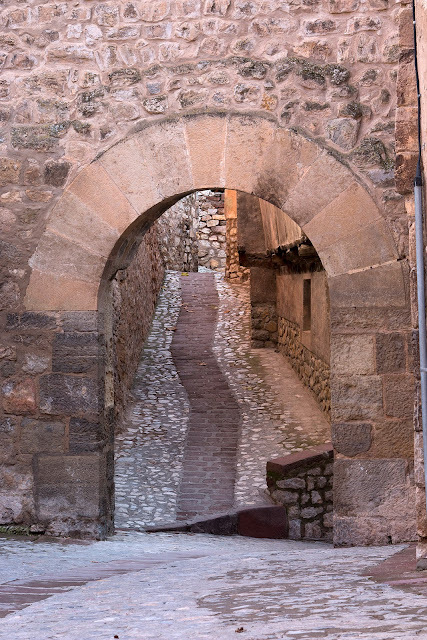 Narrow walkway in the medieval village of Albarracin. 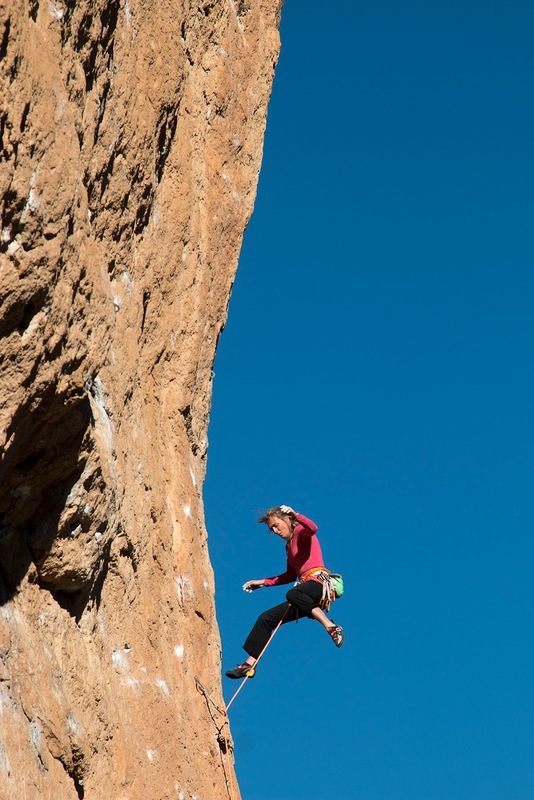 Alfar serves up roadside cragging par excellence. Perusing the counter at Marisol in Cuenca. To be adequately equipped, bring 14 quickdraws, a 70-rope and supportive, high-performance shoes, along with strong fingers and well-honed technique. There’s no tricks or kneebars on the routes in Cuenca, so leave the pads and duct tape at home. 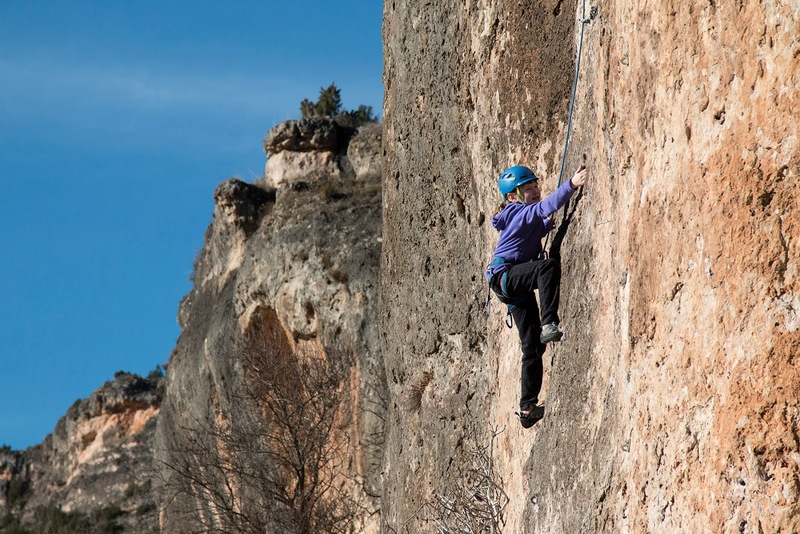 The excellent guidebook, Cuenca, Escalada Deportiva, contains both English and Spanish text and acts an essential tool for planning a trip to the area. And for those so inclined, the amazing sandstone bouldering at Albarracin is less than two hours away. Spending a week in each are would be practical. 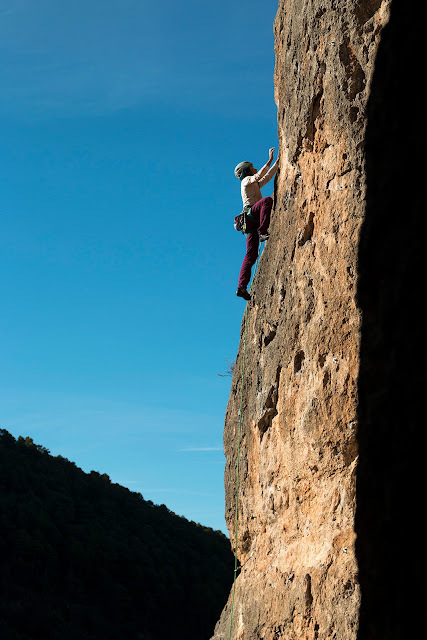 Pocketed face climbing on Dos Paulos (7a) in Valdecabras Sur. Bouldery crux on Zappatones (7c), Alfar. Stone barn amongst boulder formations near Valdecabras. 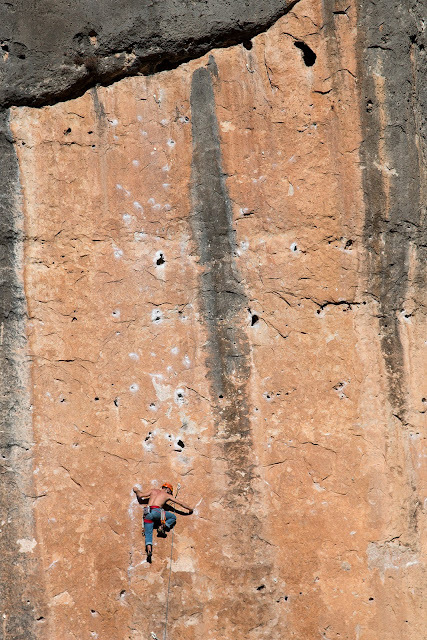 Pockets and holes on the popular El Gato con Botas (7a), Alfar. 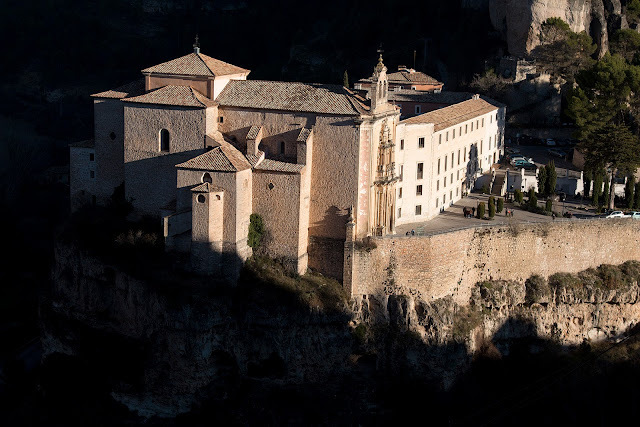 Cuenca is an easy two-hour drive from Madrid’s airport, all of it on good highways. 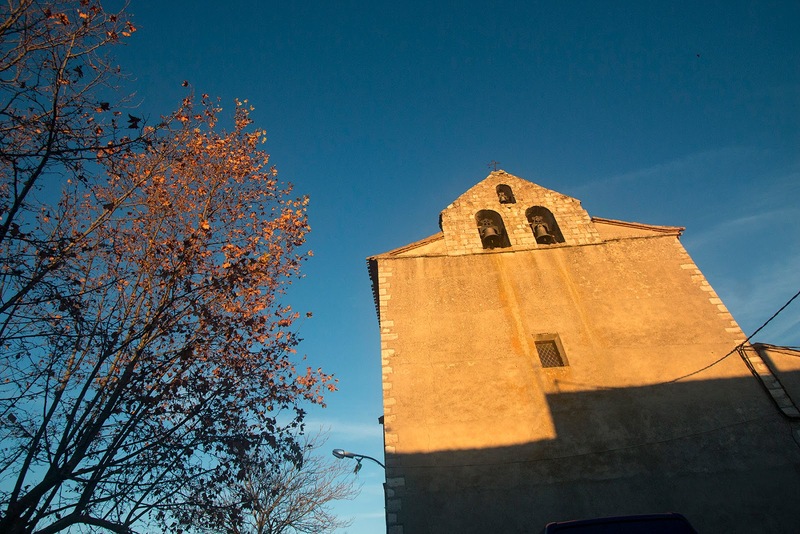 Tourists from Madrid flock to the area most weekends, and the abundance of small hotels and restaurants do steady business. 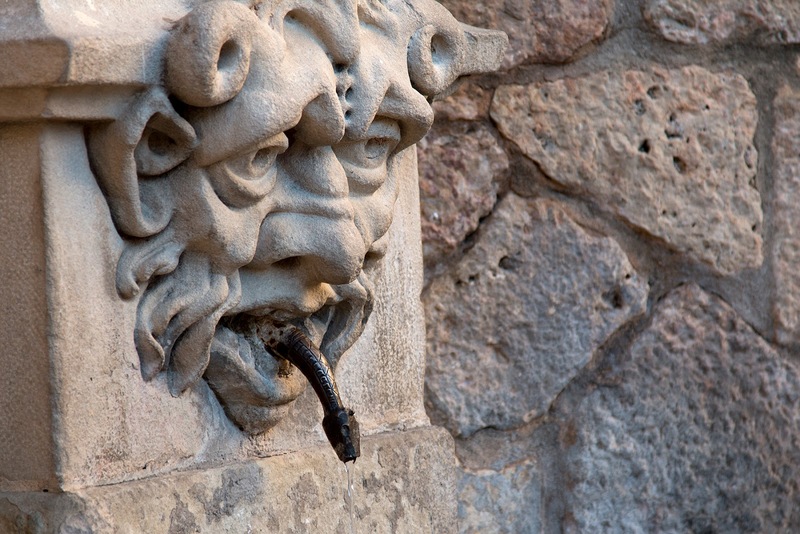 Although the city is quaint and offers all the amenities one could ask for, we chose to stay in Valdacabras, a sleepy country village 15 minutes away. The forested area was scenic and we found a casa rural (country house) that offered multi-week discounts. The town’s only amenity is a single, quality restaurant, but its position near the Valdacabras climbing gorge was a real bonus, and zipping into Cuenca after a day on the rocks was casual. 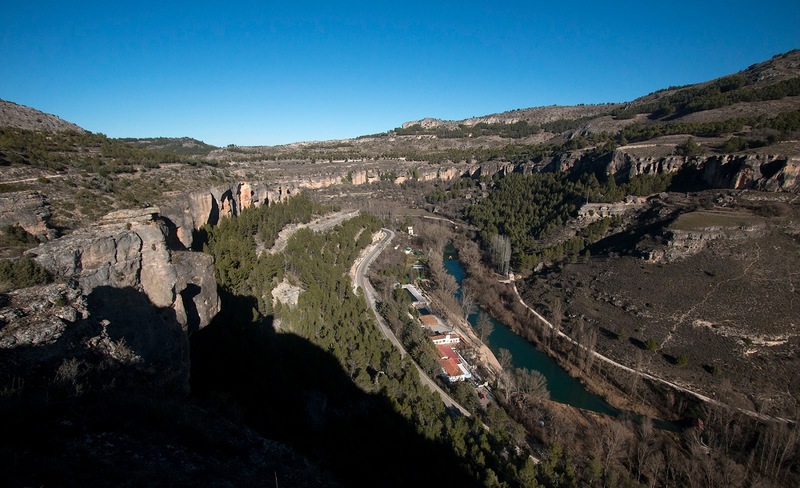 If an apartment rental doesn’t appeal, a popular campground exists just north of the main climbing zone in the Jucar Gorge. 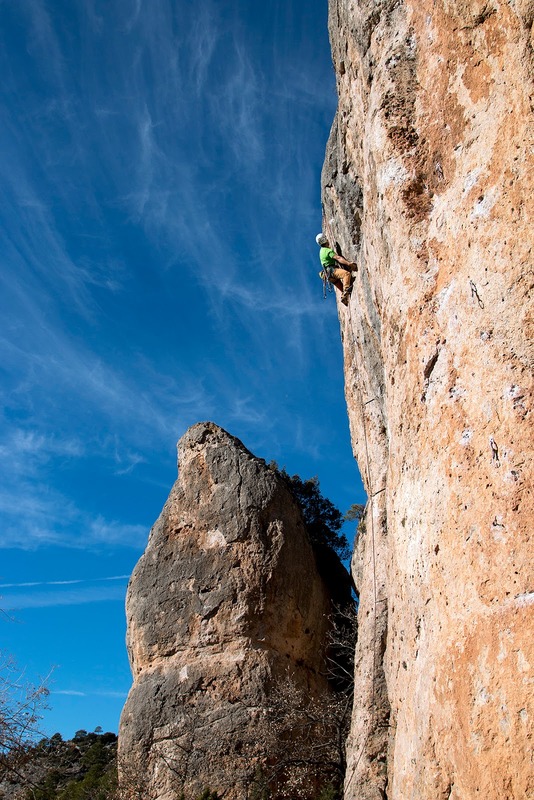 Positive face climbing on Brazilian Style (6a), Valdecabras Sur. 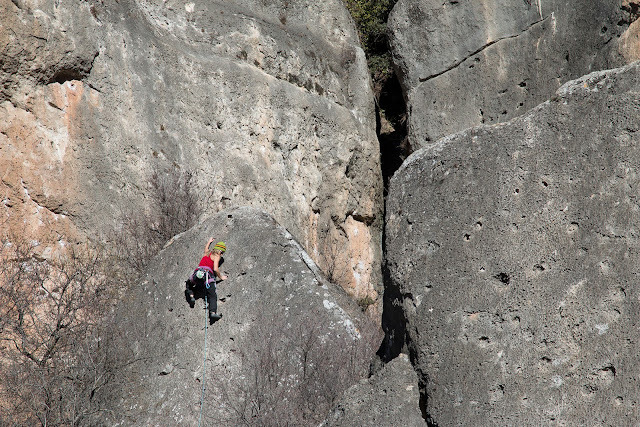 La Floja Floja (6b), Valdecabras Sur. Lagunas de Canada del Hoyo, just south of Cuenca. Narrow streets in the old city of Cuenca. 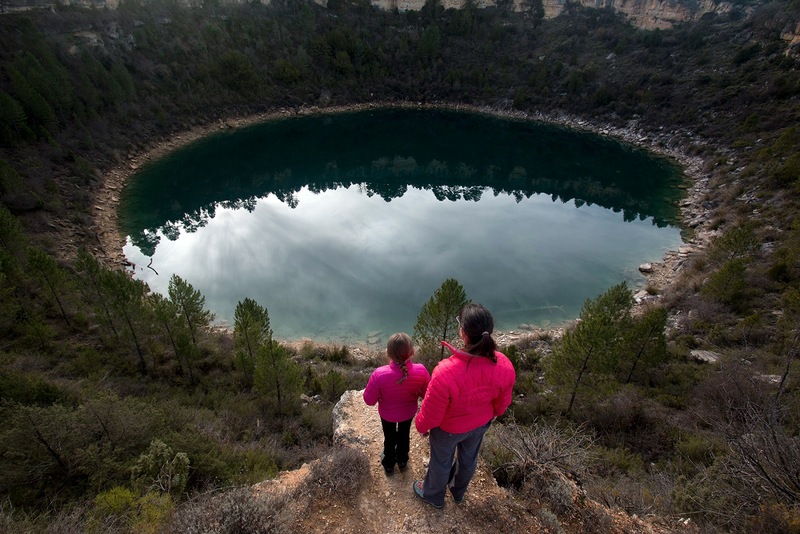 The city of Cuenca is worthy of extensive exploration and locals enjoy walking, trail running and mountain biking on the network of well-built trails that snake around the old city. 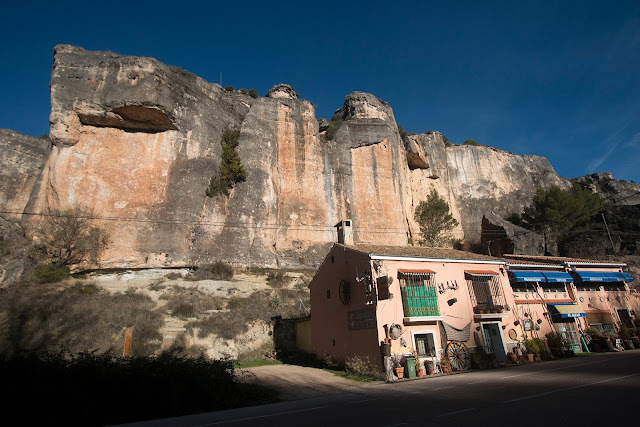 With a car, it’s possible to drive east to the famous bouldering area of Alberracin and tour the medieval town before spotting pictographs on the sandstone blocks. 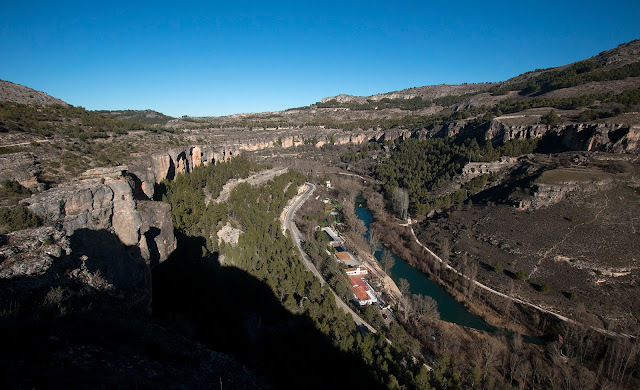 To the south of Cuenca are extensive Roman ruins in Valeria as well as the famous restored castle, Belmonte, and the Parque de Torcas, a landscape littered with intriguing limestone sink holes. 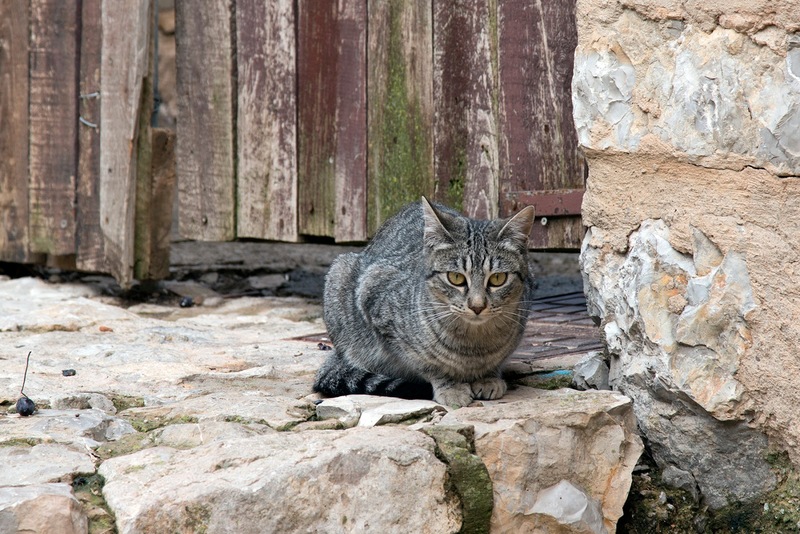 The entire area is rich in history and the multitude of small villages invite casual exploration. 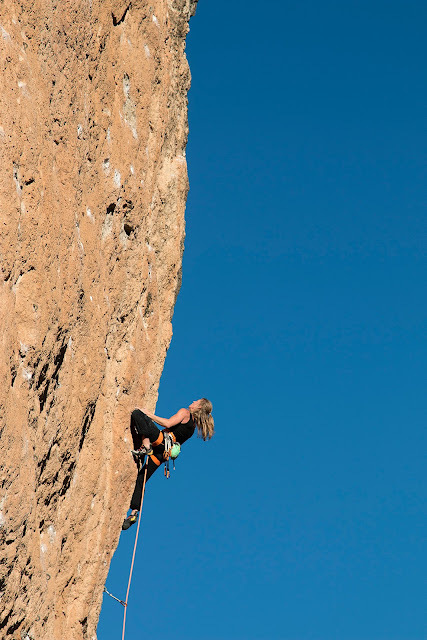 Peeling off Cabe Esperar (8a) at Sombretivo. 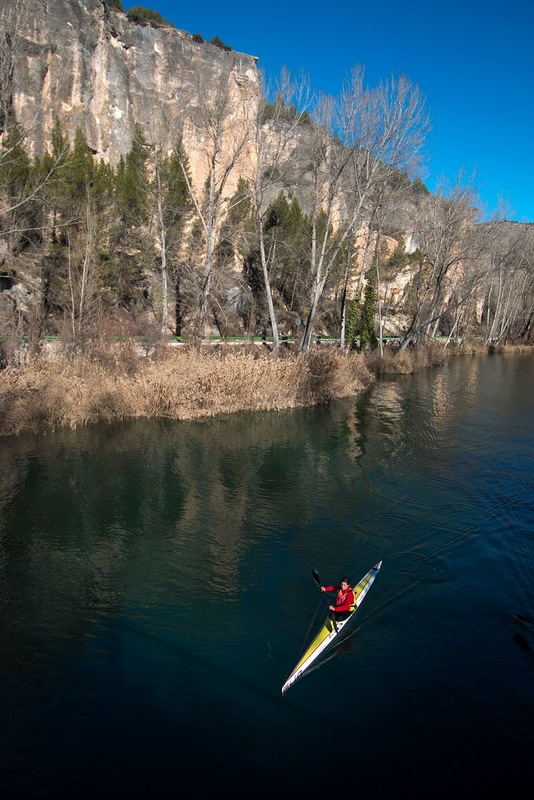 Kayaking on the Jucar River just below Sombretivo. Sin Problemas (IV), a short but fun moderate at Alfar. 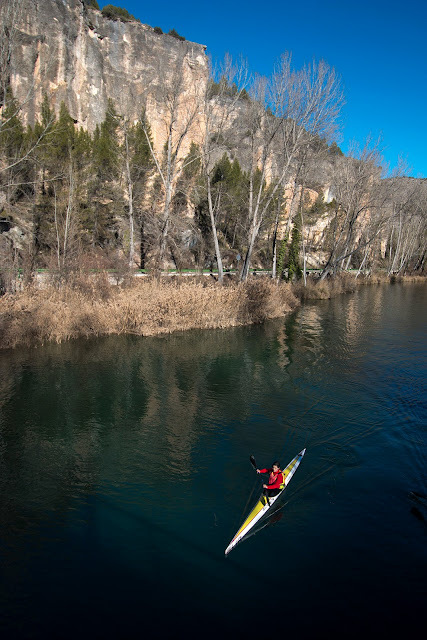 The Jucar River gorge, the epicentre of climbing in Cuenca.